Brazil has over 200 endemic species of birds, many in the southeast, reason enough to go birding in this extraordinary country. 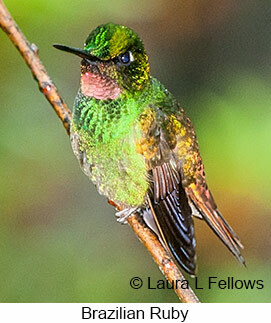 Add to that a rich diversity of other birds not present in many other parts of South America plus wonderful culture and cuisine, and you have a can't miss tour destination. It takes several tours to adequately cover this amazing country. Brazil deserves to be high on every birder's wish list of places to go. The number one destination for birding tours in Brazil is the SE Atlantic region, extending from the border with Uruguay north to Belo Horizonte. This region features several very important reserves that protect what remains of the rapidly disappearing SE Atlantic Forest biome. Southeast Atlantic Forest once stretched from Rio Grande do Norte on the most eastern bulge of Brazil to Rio Grande do Sul near the Uruguay border. Over 90% of the forest is now gone, and the remaining patches of forest are home to numerous endemic and threatened bird species. For this reason, remnant forests in this biozone are a primary destination of birding tours to Brazil. The region between Sao Paulo and Rio de Janeiro as well as the coastal areas to the north and south are covered by low-lying mountains and escarpments that offer both spectacular scenary and an altitudinal gradient that adds to the bird diversity of the reggion. 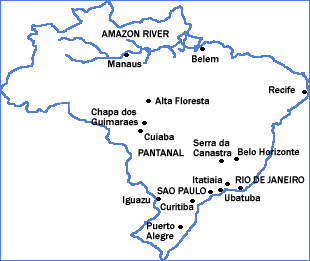 Notable destinations include Itatiaia National Park between Rio de Janeiro and Sao Paulo, Ubatuba on the coast near Sao Paulo, Intervales State Park southwest of Sao Paulo, and the extreme southeast including Apardos da Serra National Park and Hampel Park in Sao Francisco da Paula in Rio Grande do Sul. A number of excellent reserves are also found southeast of Curitiba but are less visited because it's just too much to cover in one tour. Additional destinations north of Rio de Janeiro include Serra dos Orgaos near Terosopolis, Guapi Assu Reserve and neighboring areas a bit farther east near Nova Friburgo, Sumidouro, Caraca Natural Reserve, and Cerro do Cipo National Park near Belo Horizonte. 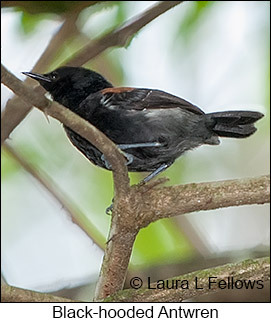 The Cherry-throated Tanager site in Espirito Santo and nearby Linhares Reserve are also prime sites but somewhat less visiting because they are more out of the way. It's not possible to cover it all in a single tour of reasonable duration. A typical approach is to visit areas south of Sao Paulo along with sites between Sao Paulo and Rio de Janeiro on one tour and areas north of Rio on another tour. The vast wetlands of the Pantanal span much of southwestern Brazil in the state of Mato Grosso south of Cuiaba and extending westward into eastern Bolivia and south into much of central Paraguay. The Pantanal is the largest wetland in the world, encompassing an area the size of France. As much as 2/3 of the area is covered with water at the height of the rainy season, which begins in October and lasts until late March. During dry season, primarily June through September, the area dries out so much that much of the standing water has shrunk into isolated pools. The area is unsuitable for agriculture due to seasonal flooding, so this vast area is largely undeveloped and remains home to abundant bird and animal life. It's a vast mish-mash of wetlands, grasslands, and dry forests and is home to over 350 bird species. 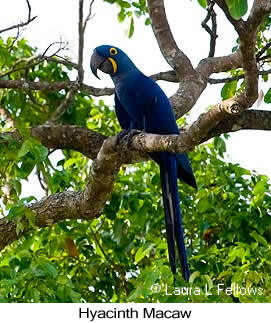 In addition to aquatic birds such as Jabiru and Sunbittern, the Pantanal is inhabited by several species of macaws including the endangered and much sought-after Hyacinth Macaw. Other birds include numerous raptors and owls, guans, shorebirds, plovers, parrots, hummingbirds, and a great variety of songbirds. It is also home to Jaguars, which are regularly seen on night excursions by visitors to the area. In the interior of southern Brazil is the cerrado, an area of open savanna grasslands, scrub, and palm stands. Fewer bird species are found in the cerrado, but many aren't found in the other biozones of Brazil. This area is home to the endangered Maned Wolf and Giant Anteater as well as savanna birds such as Greater Rhea and Red-legged Seriema. Chapado dos Guimaraes is about an hour's drive from Cuiaba and offers easy access to this habitat. More remote and drier still is Emas National Park, a less visited area where desert mammals are most easily seen. The Amazon Basin covers nearly all of northern Brazil plus parts of central Brazil. 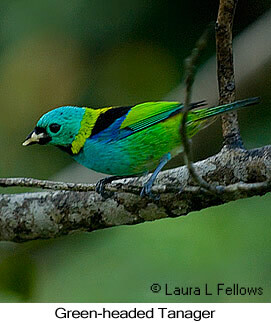 The Amazon supports nearly 20% of all bird species in the world, along with 10% of all mammals and 20% of all plants. Birding tours to the Amazon basin are often based out of Manaus and go up-river from there into more remote areas not yet threatened by mining and logging activities. Some tours also visit the southeastern Amazon basin and are centered especially at Cristolino Lodge near Alta Floresta. There a variety of southern Amazon Basin specialties not found in the central Amazon can be found. Alta Floresta is most commonly reached by air but can be reached by overnight bus. Sadly, the vast area between Cuiaba and Alta Floresta, which was once primary rainforest, has now been almost totally denuded by logging followed by cattle grazing. Yet another site is the Heliconia Natural Reserve in far northwestern Brazil, reached through the border town of Leticia in Colombia. The Amazon basin is far from homogenous, and many bird species found in the northern basin are not found in the southern basin. There are also many species in the Amazon headwaters that aren't present closer to the coast, and of course there are a variety of riverine species found only along the main river channels. Finally, the Caatinga region located mainly in northeastern Brazil is a semi-arid land with hardy vegetation adapted to limited annual rainfall. The Caatinga has two seasons, a hot dry season and a hot wet season. Forested areas consist of deciduous broad-leaved scrub and stunted trees. The soil is poor and heavily degraded by agricultural activities. Many species of birds and mammals have already gone extinct or are on the verge of extinction. A notable bird in the area, Spix's Macaw, perhaps the world's rarest parrot, was considered extinct until a small population was re-discovered in 1990. Birding tours to this area are specialized trips targeting endangered species since the area is far removed from major population centers and is expensive to reach. The vastness of Brazil makes this fascinating country one of the most diverse birding destinations in South America. 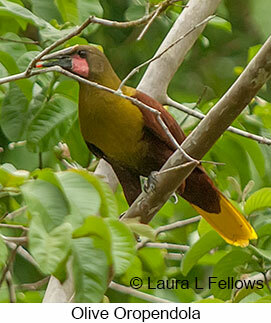 Brazil is home to over 1780 bird species, including numerous endemics found nowhere else in the world. Many are absent from the Andes countries of northwest South America and even the less traveled areas of northeastern South America. The SE Atlantic Forests along the coastal area south of Rio de Janeiro are seriously threatened by human enroachment, and the small extent of remaining habitat is home to a large number of endemic species. The vastness and diversity of the Amazon speaks for itself. The interior features the Pantanal, the largest wetland in the world, while less visited northern areas have their own attractions. Brazil simply can't all be seen on one tour.